In the United States 64,000 people died from drug overdoses in 2016 alone. That’s nearly twice as many deaths as in 1996, just a decade earlier. While the CDC does not break-down drug overdose deaths based on the type of drug used, it is estimated that more than forty-percent of these were related to opioid and synthetic opioid (i.e. fentanyl) overdose deaths. 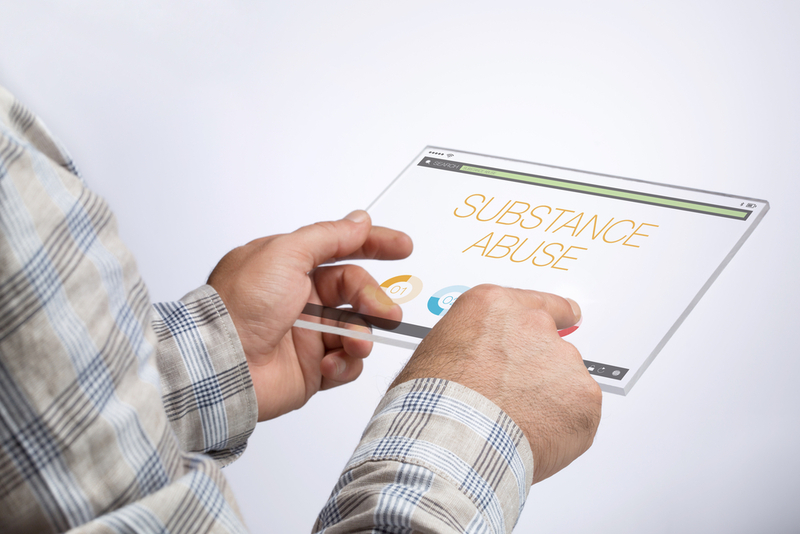 Thanks to advances in the way that medical data is collected and analyzed, the population at large is becoming increasingly aware of how illegal abuse of both prescription and non-prescription drugs are impacting our communities. As the availability of data improves, we need to become more proactive in the deployment of medical data engineers. Our government, as well as NGOs need to step-up their efforts to analyze EMRs, coroner reports and police reports. All this data is sitting in both government and non-government data stores. It’s available! We should use it more effectively. What is the first sign of a looming opioid crisis in your community? It starts with a spike in scripts being written by doctors and filled by pharmacists – although it’s important to understand that many prescription opioid addicts take their scripts across state lines, into pharmacies that are referred to by local law enforcement as pill mills. Lax enforcement of rules regarding overfilling of prescriptions makes that destinations especially attractive to addicts that want to redeem scripts from multiple physicians. For an example of this, look at West Virginia’s I70 corridor – commonly referred to as the heroin highway. Addicts drive in from out-of-town with their scripts in hand. And they drive home with far more than what should be, and often is in fact legally allowed. This is an obnoxious situation, considering that pharmacies are required to report the filling of scripts for controlled narcotics through their state’s Prescription Monitoring Program (PMP). And responsible pharmacists should be checking their PMP database before processing a patient’s request – including patients with a valid looking script – for narcotics. What Are The Proven Benefits Of Chiropractic Care? One of the most common ways that prescription opioid addicts abuse the medical system to score more opioids is through repeated visits to emergency rooms to complain about painful (usually fake) medical conditions. While the ER should check the PMP, pharmacists are the last line of defense to prevent abusers from pushing unnecessary opioids onto the streets. Again, the medical data exists to prevent this. And there are multiple layers of compliance and responsibility that need to be enforced if we want to limit the dispensing of prescription opioids into our communities. After Tackling Illicit Dispensing, how do We Rehabilitate the Opioid Addict? The most tragic aspect of opioid dependence is the fact that many, if not most addicts started out as responsible members of society. They went in for a surgery, or other painful medical situation and a doctor provided them with a script for narcotic painkillers. Unfortunately, when their script runs out, their body has built a tolerance and dependence for the medication – and that’s when the games required to secure more prescription opioids begins. Once a patient realizes that they have an addiction problem, they are left with two choices. They can either try and self-manage their addiction and play games or outright break the law to secure additional doses. Or they can seek treatment. There are many different treatments available. For some, traditional methods and rehabilitation facilities can be effective. Some find success through group therapy programs such as Alcoholics Anonymous. However, although these programs are very effective for some, many addicts have been unable to find lasting success and sobriety with traditional treatment methods, leaving many addicts searching for new options that may show promise for them. This has led to a flood of natural and holistic treatment options, each with their own individual success rates. One options, called Ibogaine treatment, has grown in popularity based on the ability of Ibogaine to drastically reduce heroin and opiate withdrawal symptoms with one dose. However, because of possible negative reactions, Ibogaine is not safe for everyone and should be taken under strict medical supervision and with proper medical procedures. The cost of advanced treatment options, like supervised treatment at a medical Ibogaine clinic, is between $5,000 to $7,000 dollars. Patients thatundergo ibogaine treatment are given the Ibogaine when heroin or opiate withdrawals are at their peak. The Ibogaine is then able to, in effect, reset the brain’s neurochemistry and help renew and heal damage done to the brain from addictive behavior. Addiction as a national concern continues to grow. As a country we continue to search for effective options to combat this problem. Although abstinence and stopping the problem before it starts are effective solutions, there is still a need for treatment options that work. And while there is no one solutions for all addiction issues, expanding our options and studying every possibility will help increase the number of addicts that go through treatment and come out with the skills they need to maintain lasting sobriety and success. In conclusion, it’s important to understand that the medical data clearly shows an increasing opioid abuse and overdose crisis in our country. It’s our responsibility to do everything we can to identify and stop this crisis from overrunning our communities. With appropriate medical data analysis, and data-driven decision making from law enforcement and lawmakers, we can get a handle on this crisis. Aeden Smith-Ahearn is the treatment coordinator for Experience Ibogaine treatment centers in Mexico. After dealing with heroin addiction for over 7 years, Aeden put his last hope into Ibogaine treatment. Now, 5 years later, Aeden has helped thousands of addicts find freedom and sobriety through Ibogaine treatment. He feels overwhelmingly blessed every day to be helping addicts find happiness in life.